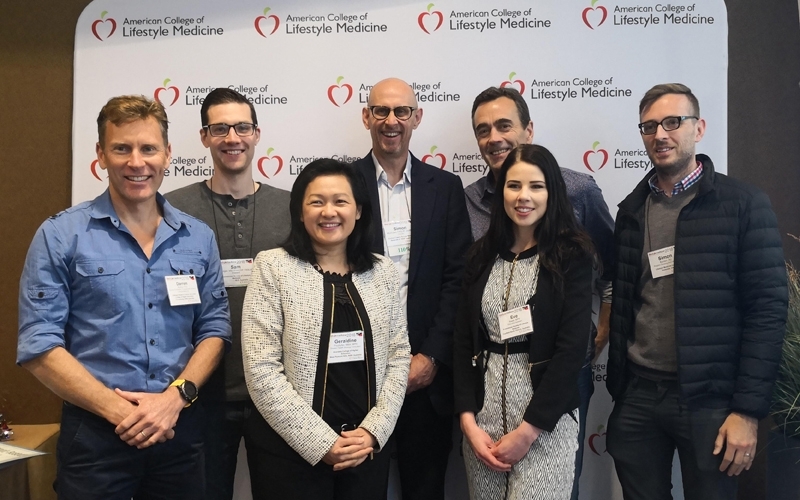 A small contingent of delegates from Australia and New Zealand recently joined 1200 attendees from 35 countries at the largest ever conference of the American College of Lifestyle Medicine (ACLM) in Indianapolis. 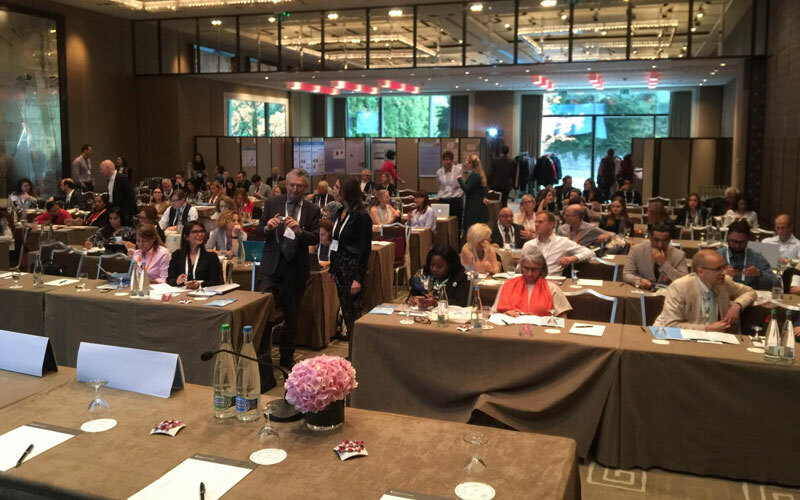 Three weeks later, a much smaller gathering of 130 delegates from around 30 countries met in Geneva to convene the very first congress of the European Lifestyle Medicine Organisation (ELMO). 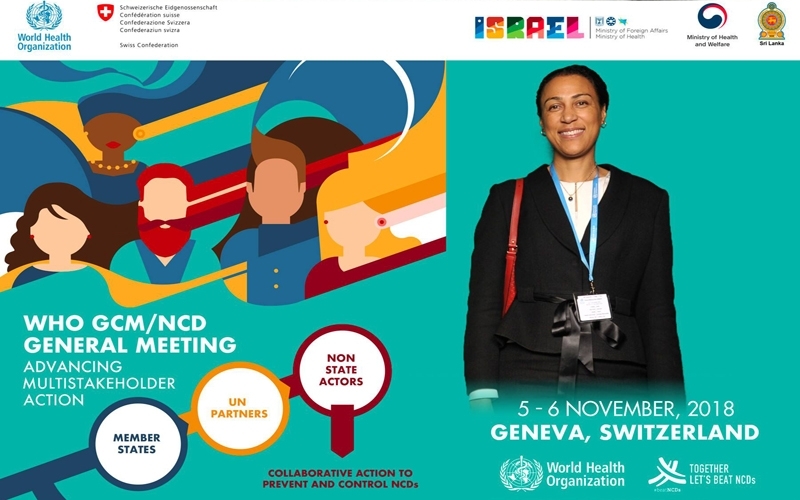 These two events differed vastly in budget and scale, which warrants an explanation of how it all works and what the international Lifestyle Medicine movement – and a surprise invitation to a meeting of the World Health Organisation – means to you as a member or supporter in Australia and New Zealand. ACLM is the longest established organisation (since 2004), with the Australasian Society of Lifestyle Medicine (ASLM) the second oldest, formed in 2008. 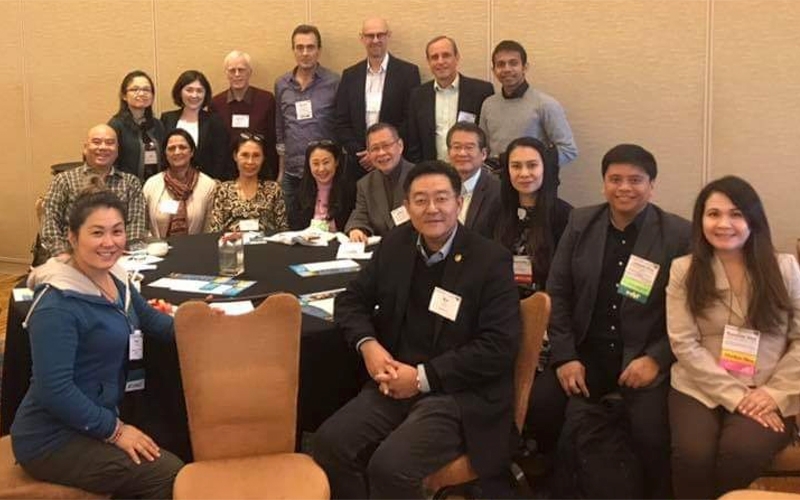 Ten years later, there are now around 15 established societies of Lifestyle Medicine around the world, and another 20 or so countries in various stages of starting up. From Australia, Dr Darren Morton, Dr Sam Manger, Dr Geraldine Przybylko, Simon Matthews, Stephen Penman, Eve Raets and Simon Barden. It is an international grass roots movement. 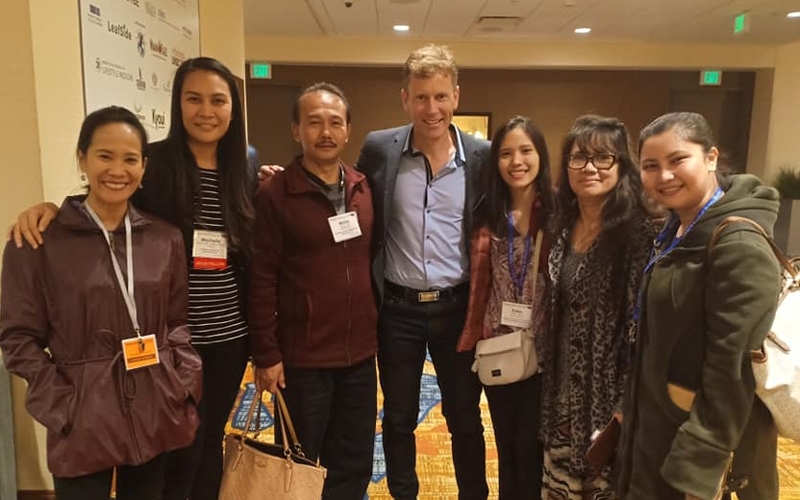 Once inspired by the Lifestyle Medicine message (often by attending a conference in another country), people take it upon themselves to get a group of like-minded health professionals together to form a registered professional society in their own country. Usually not-for-profit, volunteer-run (at least until financially viable) and with a mission to improve health and healthcare, this can be an onerous journey for these fledgling societies. 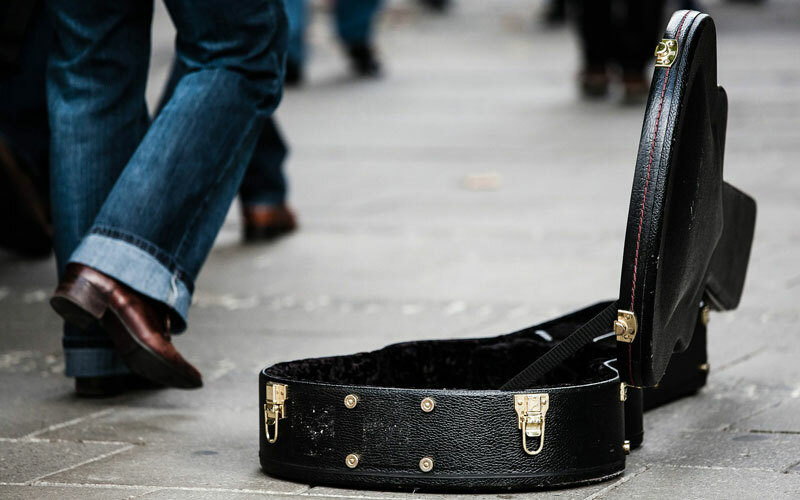 Financial and human resources are often scarce, but passion for the cause is not. The more established societies commonly offer advice and support to those starting up in other countries, usually resulting in keynote speakers and delegates spending their own money to attend each other’s conferences and symposia, in a tangible demonstration of international solidarity. 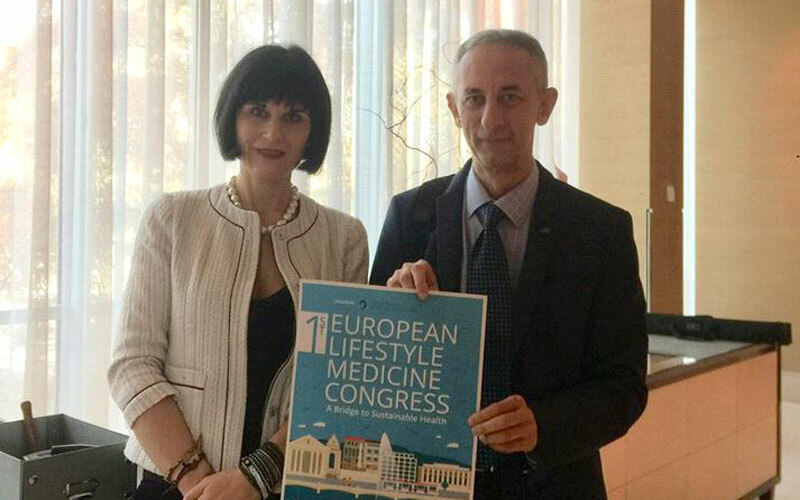 Once established and having met governance guidelines, new Lifestyle Medicine country organisations can become member organisations of the Lifestyle Medicine Global Alliance (LMGA) – essentially a global coordination and communication network. Quite remarkable really. Importantly, LMGA member organisations have access to the International Board of Lifestyle Medicine board certification exam, which establishes a universal competency for the practice of Lifestyle Medicine, whether as a medical doctor, public health professional or allied health practitioner. 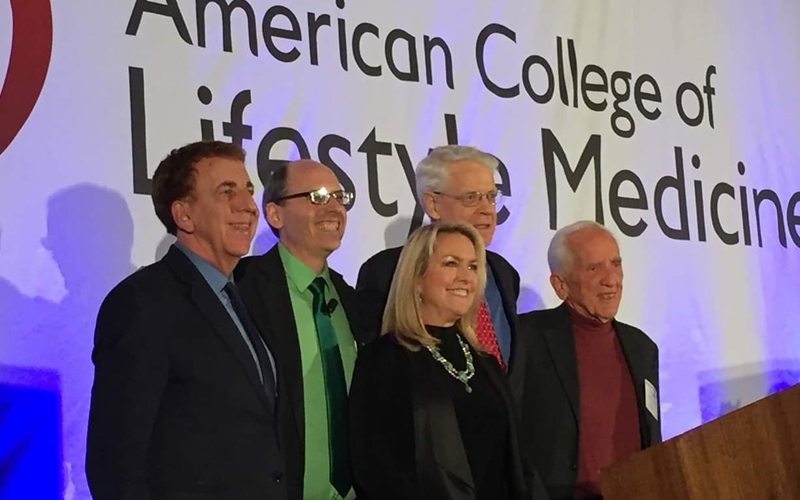 Members of the American Board of Lifestyle Medicine: Dr Dexter Shurney (ACLM President), Dr Wayne Dysinger, Prof Eddie Phillips, Stephan Herzog, Dr Liana Lianov and Dr David Ferris. Which brings me to the reason for this article. 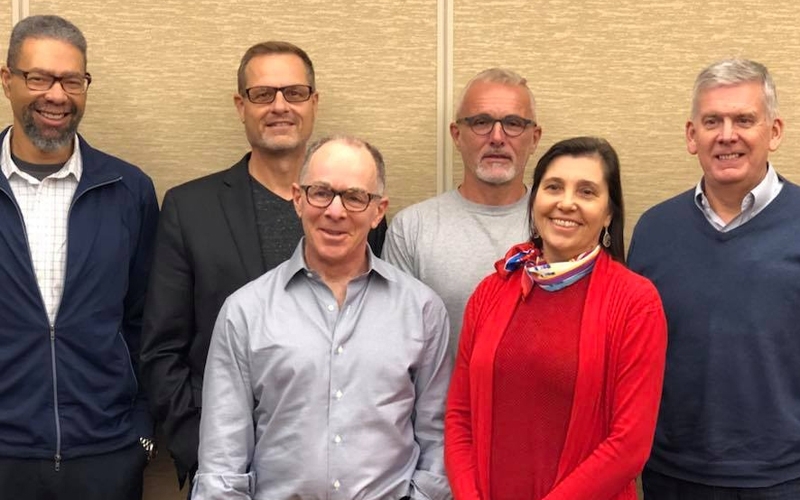 As important as it is for us to develop Lifestyle Medicine in Australia and New Zealand, it is important for us all to understand how ASLM’s leadership role in a collaborative, world-wide movement for change in healthcare pays dividends back home. 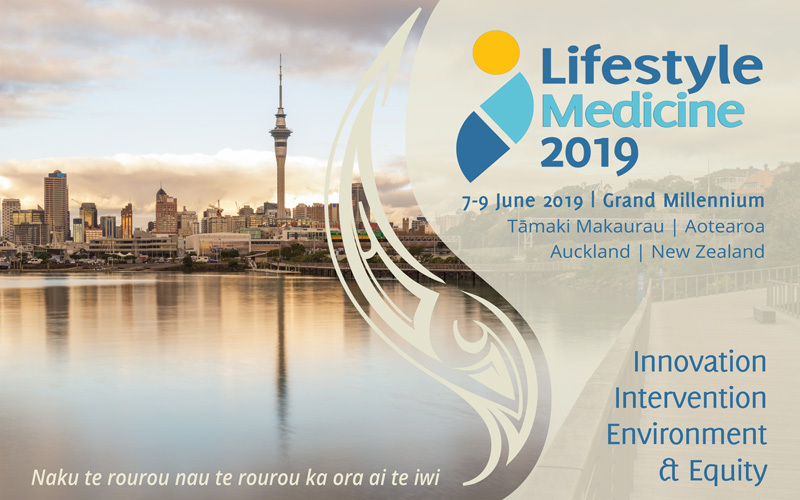 As a well established and ‘senior’ Lifestyle Medicine organisation, ASLM contributes on the international scene in the same way that our overseas colleagues, especially those at the ACLM, have supported (and continue to support) the development of ASLM in Australia and New Zealand. Drs Darren Morton and Geraldine Przybylko (Aust). Congratulations to Geraldine for winning Best Abstract Presentation. 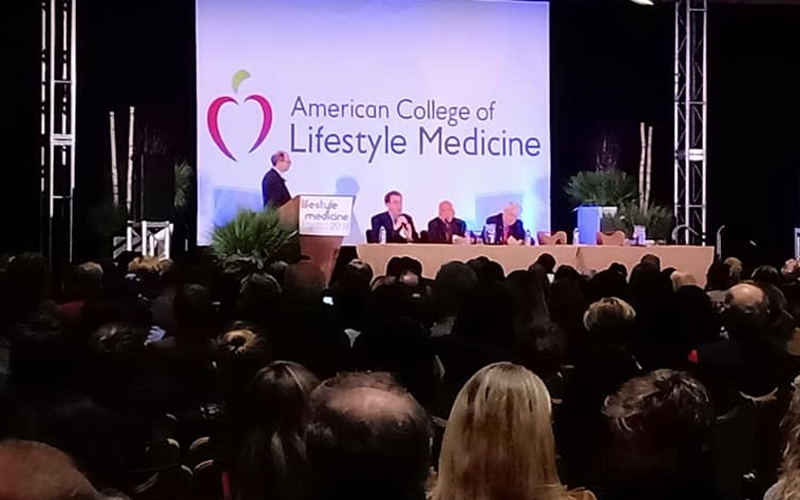 For example, ASLM was invited to sit on the American Board of Lifestyle Medicine (ABLM) during the development of the International Board of Lifestyle Medicine (IBLM), and the writing of the Board Certification exam. The result is that we have already held the certification exam in Australia twice, with the next one to be in New Zealand. 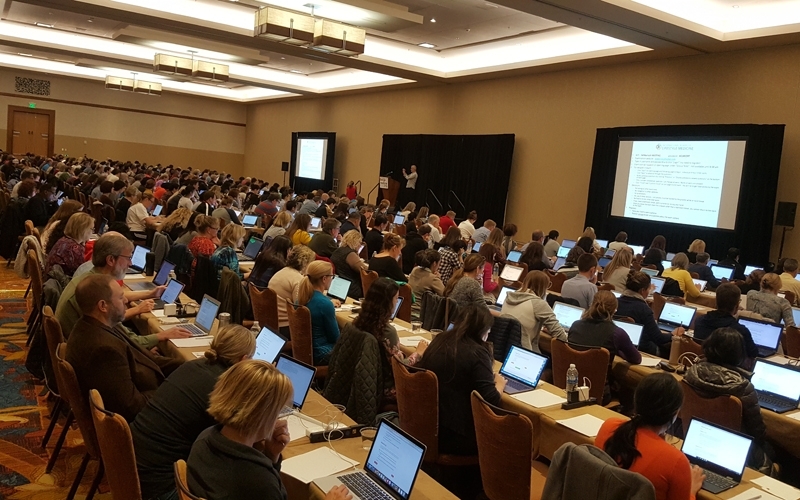 At the ACLM conference, around 100 of the 1200 delegates were from societies around the world. 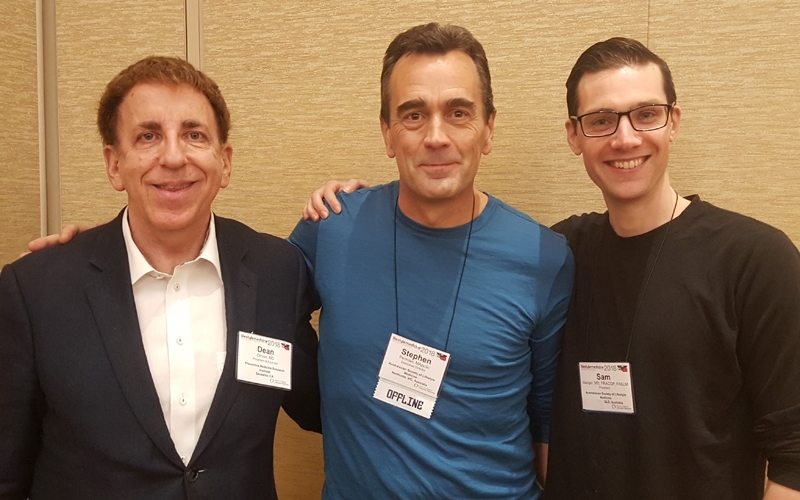 Those attending in an official capacity for ASLM were President, Dr Sam Manger, Executive Director, Stephen Penman (myself), and Executive Officer, Eve Raets. 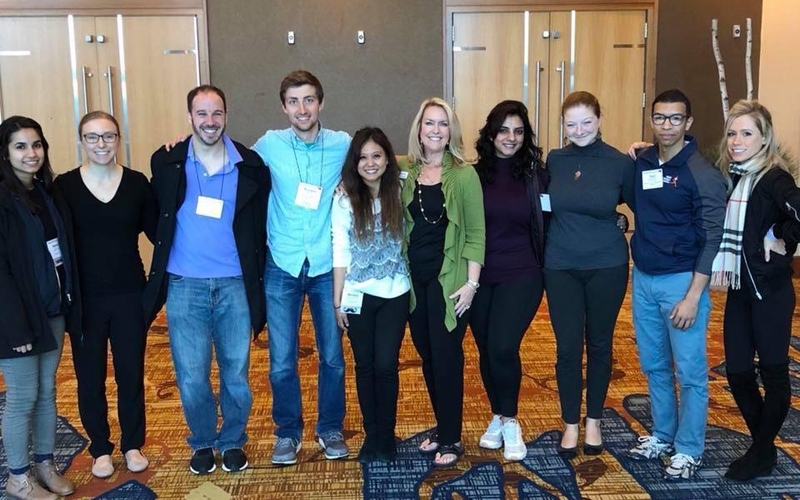 For our team, the three and a half day event was a series of meetings, many dozens of informal discussions, and of course, numerous photo opportunities! 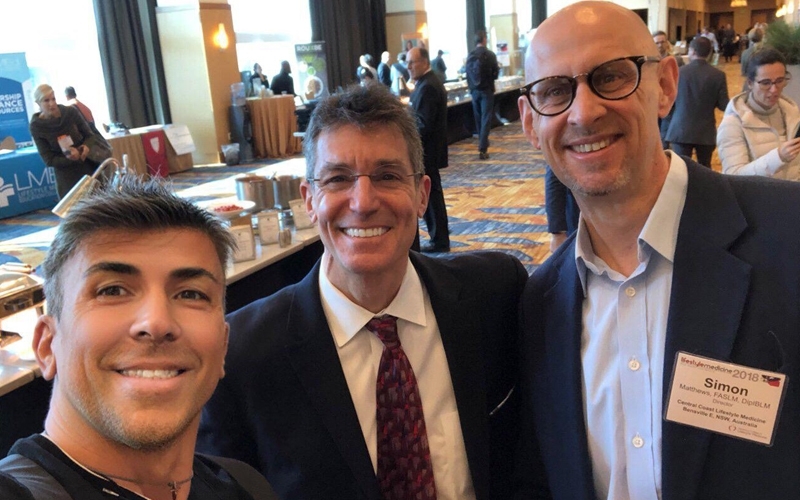 For example, we met with Prof Eddie Phillips (Harvard) and Dennis Muscato of the Lifestyle Medicine Education Collaborative (LMEd) to discuss approaches to positioning Lifestyle Medicine education in medical schools, registrar training and allied health practitioner courses in Australia and New Zealand. This is where the international network demonstrates it’s worth. ASLM is able to leverage work already done in the US, e.g. : curriculum development, rather than reinventing the wheel. Our case for Lifestyle Medicine education ‘downunder’ is stronger if it mirrors successful approaches to medical schools overseas. ASLM, like ACLM before it, has been experiencing exponential growth, but not without having struggled through the early years. 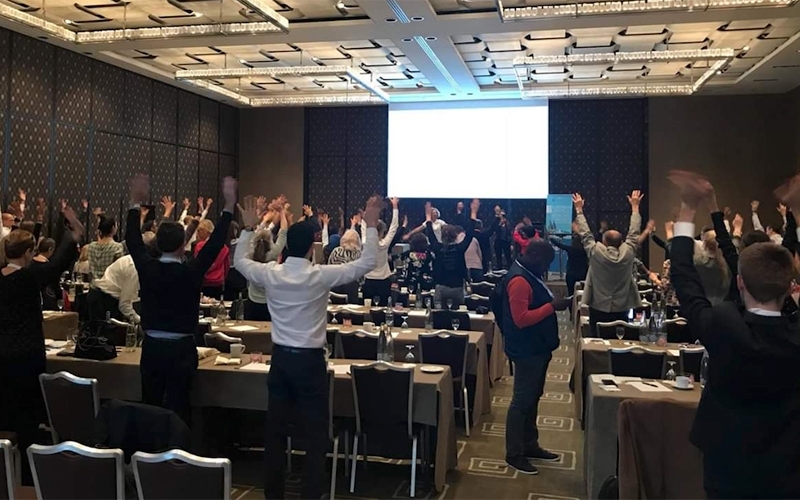 And the first congress of ELMO in Geneva this last weekend was an excellent example of what a team of passionate volunteers can do with few resources the first time around presenting a Lifestyle Medicine conference. 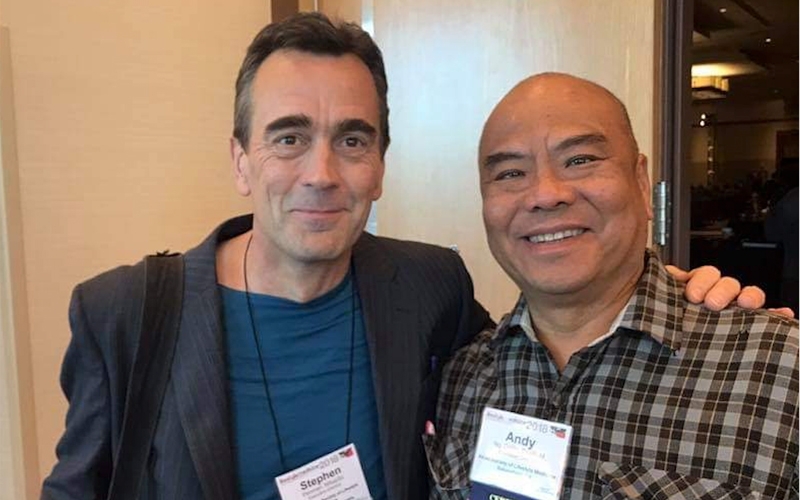 Traditionally there is always movement at Lifestyle Medicine conferences. ELMO was no exception. 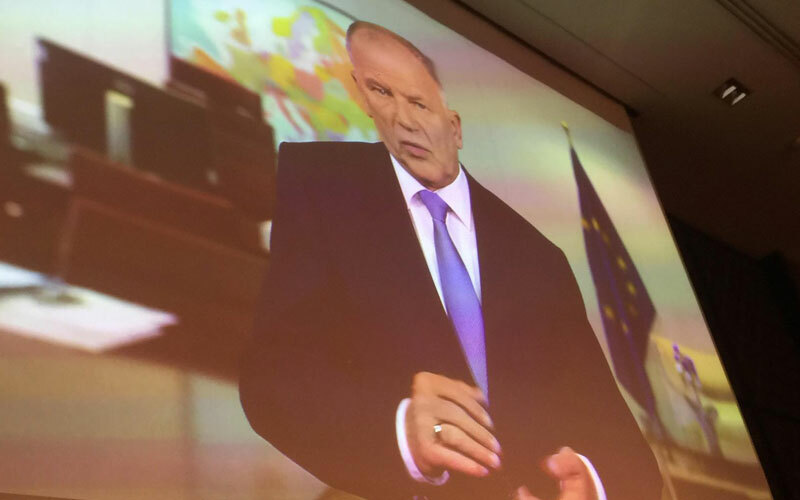 I was delighted to attend in an official capacity for ASLM, once again to hold discussions with other society leaders and to support the European effort. Congratulations to Drs Yiannis Arkadianos and Stefania Ubaldi for the enormous personal effort to make this happen. 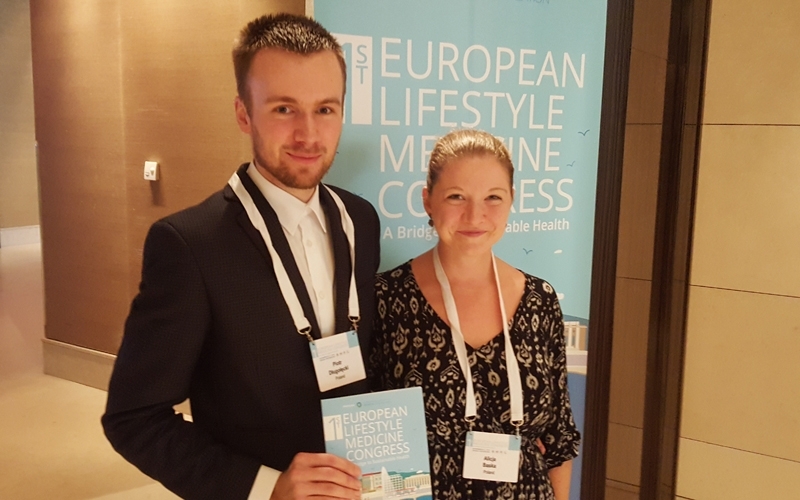 Lifestyle Medicine in Europe is established in Lithuania (with some health system acceptance and even a Masters degree at the Lithuanian University of Health Sciences), Italy and Germany, with Poland, Croatia, and Albania starting up. On the other side of the Channel, the British Society of Lifestyle Medicine is growing rapidly in just a couple of years since starting up and doing great work with Shared Medical Appointments. 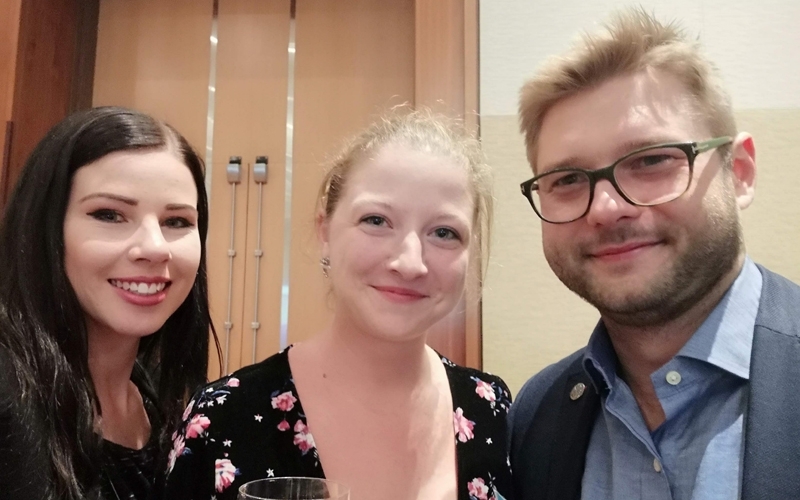 It was great to see so many students presenting abstracts at the ELMO conference, especially from Poland, and also from Greece which will likely be the next country to form a society. It was also good to see ELMO supported by the Israeli society (once again with good health system acceptance in Israel), and others from the Middle East attending. 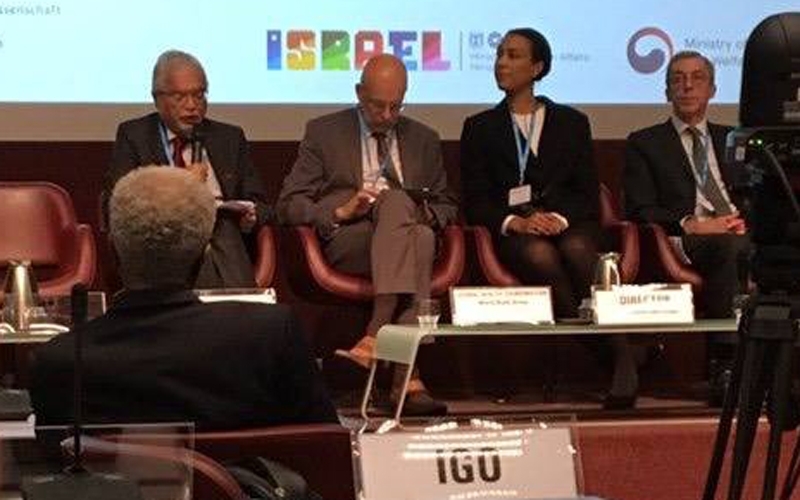 Dr Margrete Ezwina (2nd from right), representing the LMGA in the session at WHO. 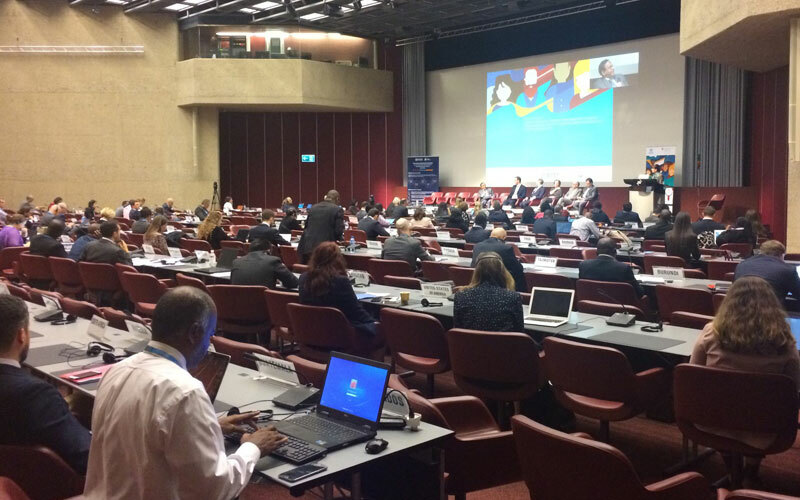 Coincidentally, the ELMO congress in Geneva was being held at about the same time as LMGA Executive Director, Dr Margarete Ezwina, was invited to address the General Meeting of the World Health Organisation Global Coordination Mechanism on the Prevention and Control of Noncommunicable Diseases that also took place in Geneva, just a few days earlier. 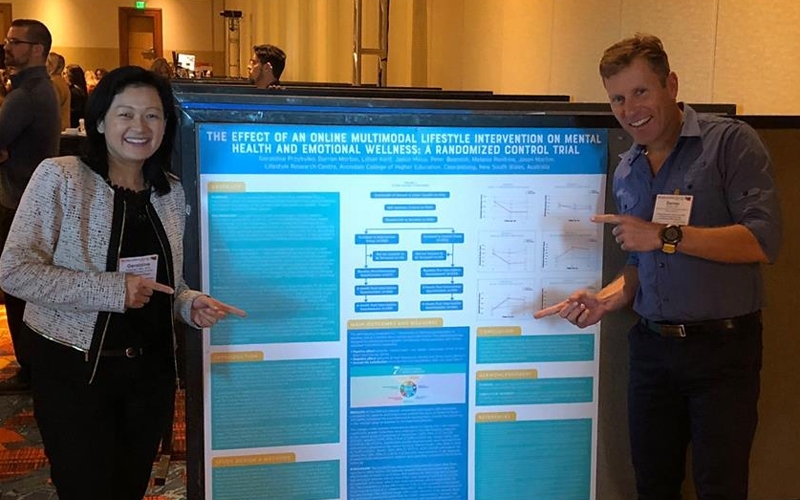 Opportunities such as an invitation to present on Lifestyle Medicine at the WHO take years to foster, and come as a direct result of the growth of the movement internationally. 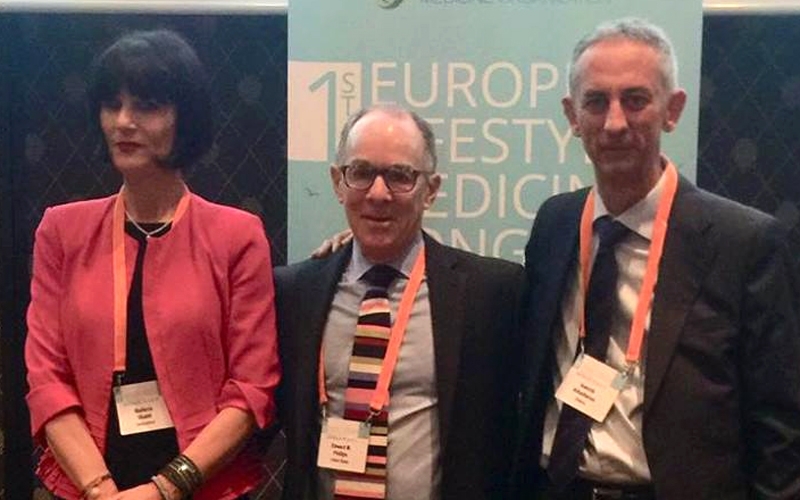 WHO’s interest in Lifestyle Medicine as a comprehensive approach to the prevention and management of chronic disease, in turn makes our task of introducing Lifestyle Medicine into the health system and health policy in Australia and New Zealand easier. 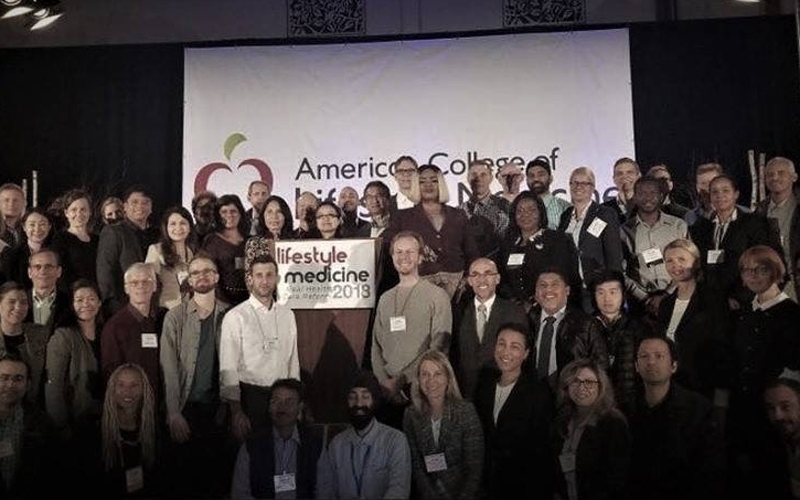 And most importantly, it’s all made possible by the passion and energy for Lifestyle Medicine that you help to cultivate back home, and the financial support you provide as a member of ASLM. 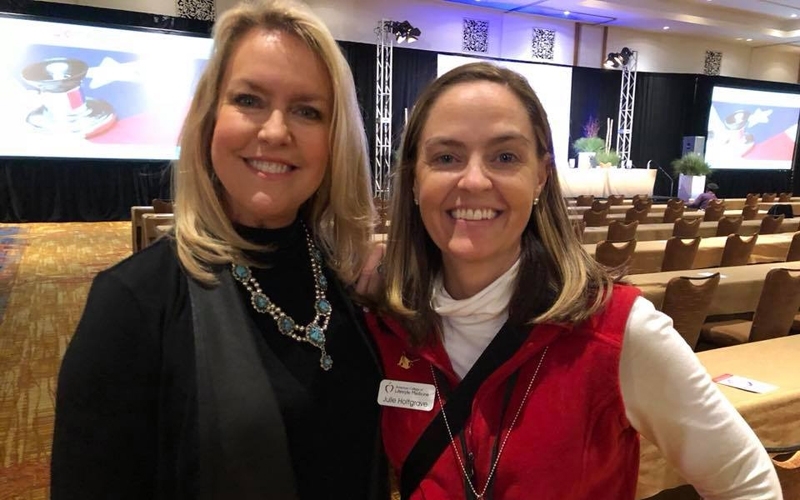 Susan Benigas and Julie Holtgrave (Director of Events & Operations at ACLM). The ACLM powerhouse. 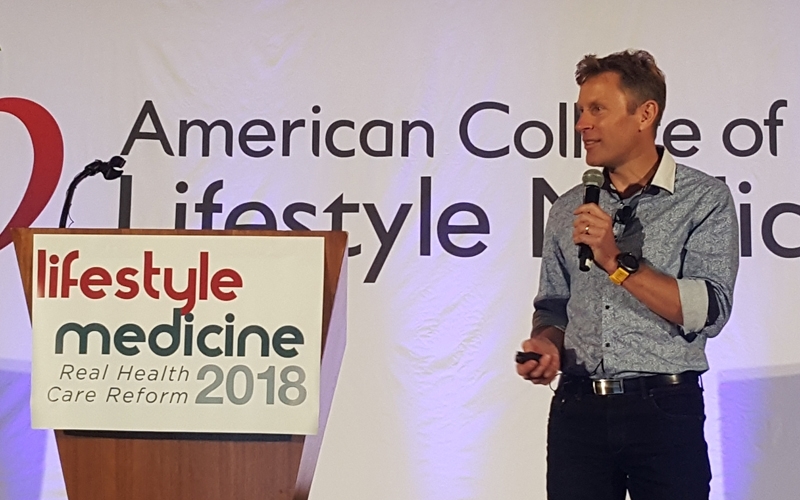 Stephen Penman is Executive Director of ASLM and the Lifestyle Medicine Foundation. He is also project lead for Open Health, a social enterprise developing a world first online comprehensive lifestyle change program. 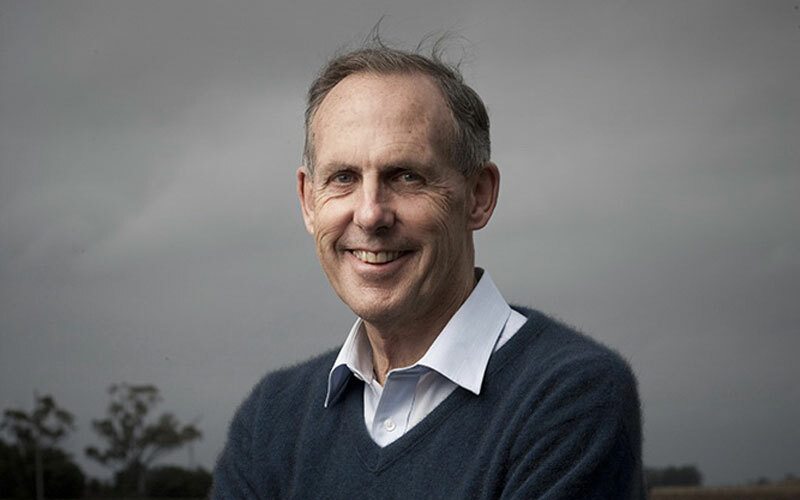 Previously, Stephen was CEO of the Australasian College of Nutritional and Environmental Medicine (ACNEM). With a background in academic research, online teaching and learning, information technology, business and financial management, he also brings a passion for health and wellbeing and translational research in this area to ASLM.